Mr. Tshiwala was a language teacher as well as a linguist by academic training. He was a graduate of Lovanium University (Democratic Republic of the Congo, Central Africa), Georgetown University (Washington, DC), and the University of Illinois (Urbana-Champaign, IL). His interest in puzzles went beyond mere entertainment. 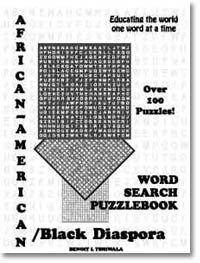 He believed that, given careful planning and organization, word games could greatly enhance the quality of teaching materials by helping to captivate the learner’s attention. Mr. Tshiwala passed in the Winter of 1999.